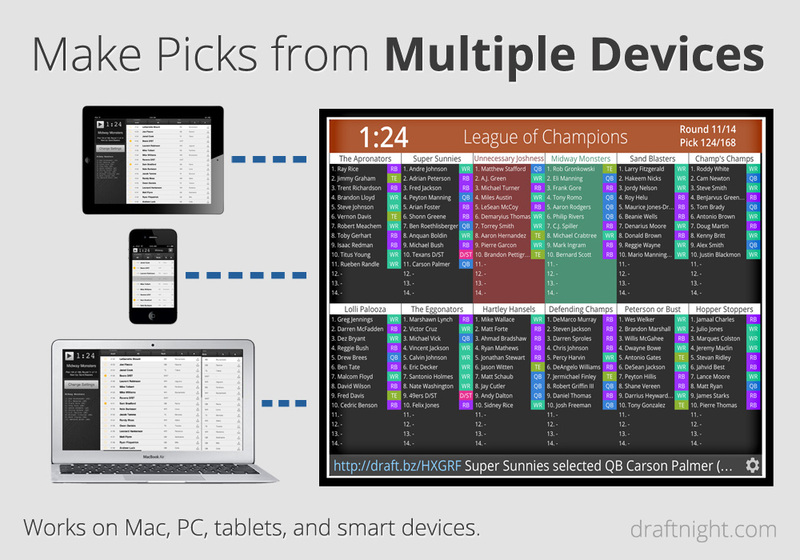 Make picks from any device and see the draft board updated instantly. 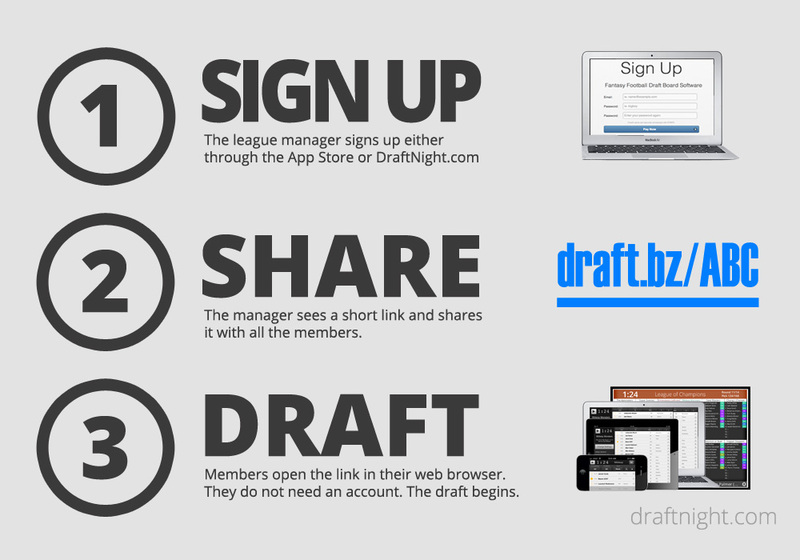 Only the league manager needs to sign up. 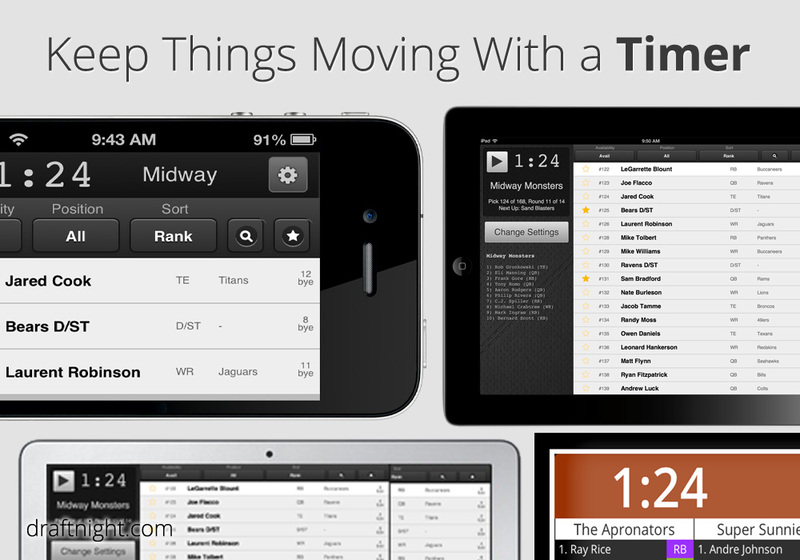 Members make picks from their own device for free. Use an adjustable timer to keep picks moving. Set the time as short or long as you want. 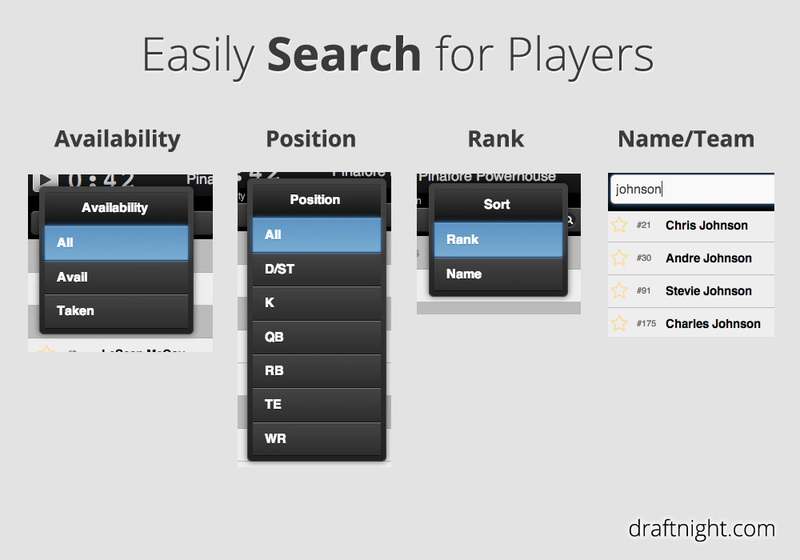 Quickly search for the player you want to pick. 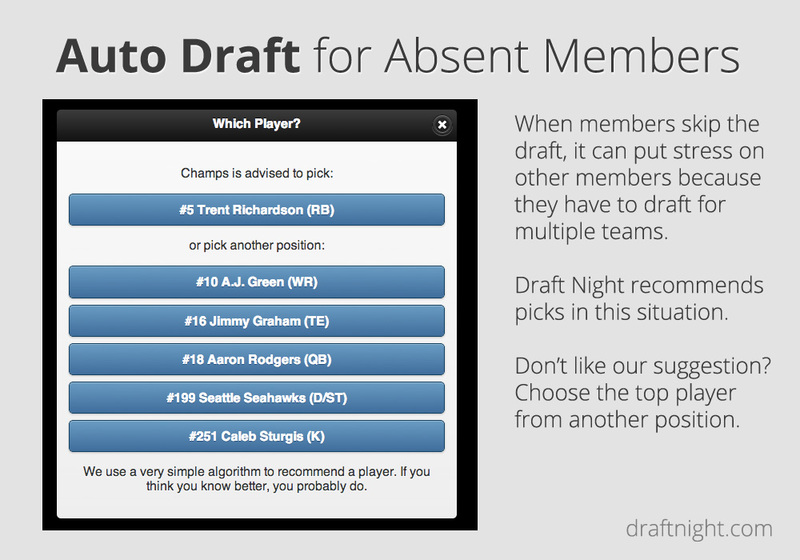 If a member didn't show up for the Fantasy Football Draft Night, use our auto draft to choose a decent player. This takes the pressure off other players who want to focus on their own picks. 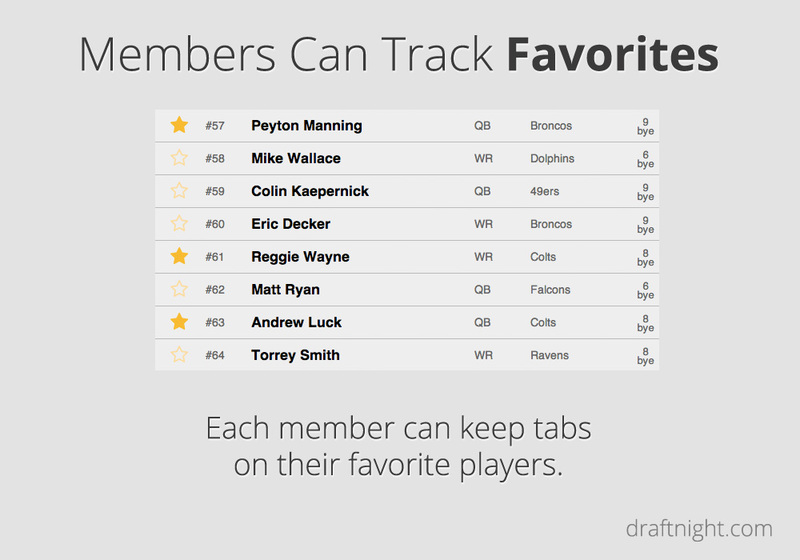 Let each member track favorite players. This makes it even faster to pick when it's their turn. 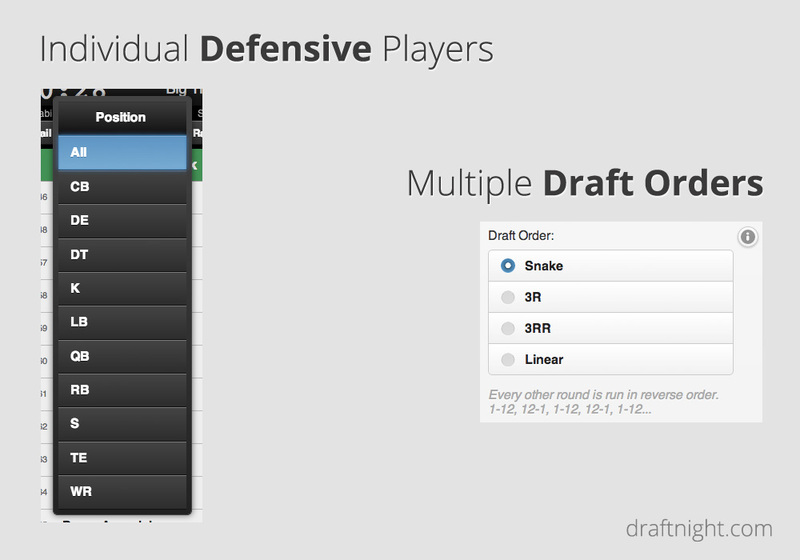 Choose from four different draft orders and optionally include IDP players. Undo any pick at any time. 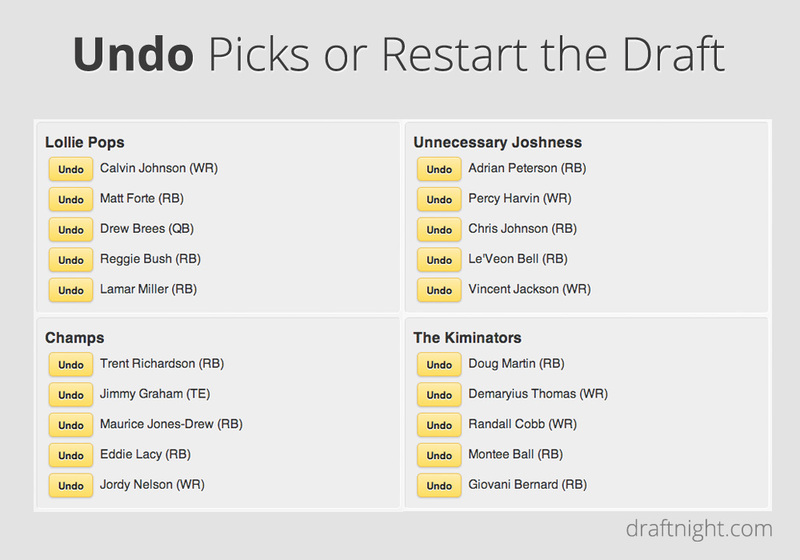 Also restart the draft if you wish. 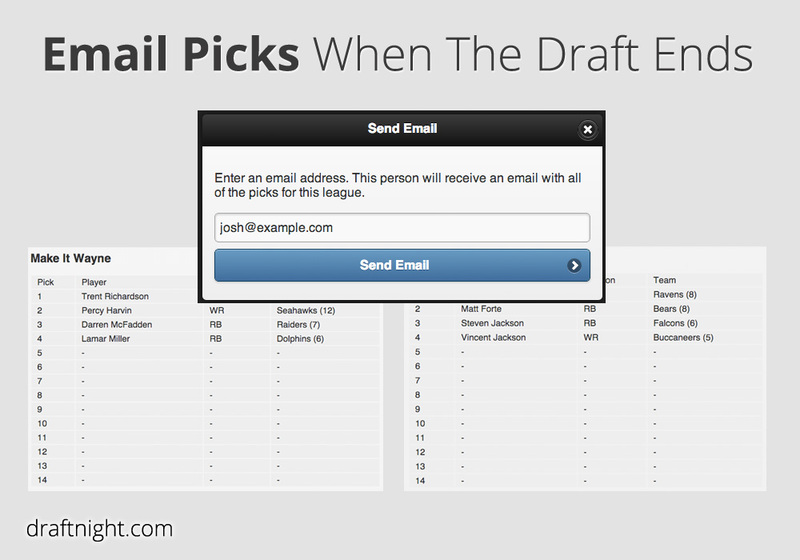 When the draft night is finished, email the picks to yourself or your members.